Porcelain fused to Metal (PFM) crowns in Los Algodones, Mexico can SAVE you thousands of dollars. Many Americans and Canadians look forward to the border town less than ten miles from Yuma, Arizona for cheaper yet quality dental care. 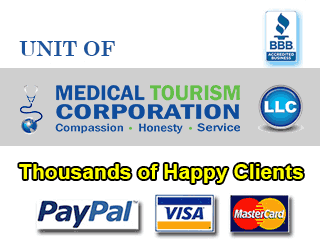 It is also popular among tourists because of its reasonable medical services and prescription drugs. 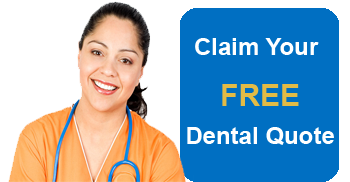 Schedule your appointment and get a FREE estimate on PFM dental crowns in Los Algodones, Mexico now! $180 per unit (contact us for the latest prices). Why Choose PFM Crowns in Los Algodones, Mexico? Nearly 70 percent of seniors are not insured in America and most of the dental care is not covered by Medicare. As a result, Americans seeking affordable porcelain-fused-to-metal dental crowns can head to Los Algodones, Mexico. CostHelper states that porcelain-fused-to-metal crowns can cost $500-$1,500 or more per tooth in the America. PFM in Los Algodones, Mexico will cost you only $180. You will find qualified and competent medical staff at our dental center who are at par with the US standards. We, at Algodones Dental Center (ADC), have more than 20 doctors who are highly skilled and knowledgeable in several specialties. We provide comprehensive dental tourism packages and assign Individual Case Managers who coordinate follow-up appointments and make arrangements for the stay. Our dental clinic is an active member of ADA (American Dental Association). We use KaVo Everest CAD-CAM technology for fabricating dental crowns which helps in coming up with highly precise dental solutions for you. We have our own on-location dental laboratory which ensures quick turnaround time. Also adjustment can be done quickly if required. We also have the latest Dental Laser technology. We offer FREE shuttle services (on select packages; terms and conditions apply). How can I reach the Mexican border town? The Yuma International Airport (IATA: YUM) is the nearest airport in the United States to the Mexican border town. Los Algodones is 7 miles from Yuma. You can cross into Mexico from the port of entry at Andrade, California. A taxi from the Yuma airport to the border will cost you $20-$30. Alternatively, we also offer free pick-up from the airport The Andrade border crossing opens daily at 6:00 am and closes at 10:00 pm. How can I reach the dental clinic? Once you cross the border at Andrade Port of Entry, walk two blocks and you will find the clinic at Alamo Street. Where can I stay in the border town? Hotel Hacienda Los Algodones is the only hotel in town and we have collaborated with it and offer our patients a night stay at only $30. Alternatively, you can stay in one of the hotels in Yuma. I have dental anxiety; can you help me? We have a set of rules in place to make your visit as easy and stress-free as possible. We can provide sleep sedation for an extra charge for those who may be a little nervous about visiting the dentist. Can I see what the doctor sees? Yes, you can with our Intraoral Cameras. The intra-oral camera allows patients to be more interactive during the oral health examination. Cameras can take pictures of the decay or cavities and the pictures can be printed and kept for future follow-ups. You don’t need to be Spanish-speaking as most of our doctors and dental assistants speak English. You can make a payment through cash (US dollars); major credit cards and debit cards (4% extra transaction fee applicable); personal, traveler’s, cashier’s checks; and wire transfers. I am driving down to Algodones; where can I park my car? We have our own car parking facility at Alamo Street and you can park there FREE of cost. What are the precautions to be taken in Mexico? Travelers are encouraged to be aware of their surroundings and avoid being isolated. Visit the U.S. Department of State website which keeps issuing travel warnings and alerts on Mexico every now and then. AVAIL TREATMENT OF OVER $1,000 USD & STAY AT HOTEL HACIENDA FREE FOR 1 NIGHT! The plight of dental care among Americans is highlighted by the American Dental Association (ADA) which states 64% of adults aged 65 and over do not have dental benefits or insurance4. Those lacking dental insurance are less likely to visit a dentist because of high costs. In 2014, 52.3% of adults reported that they had visited the dentist every six months the last few years, 15.4% reported once a year, and 11.0% reported once every two to three years. About 21.3% said that they had not visited the dentist in the last few years1. The chart below shows the average per-patient dental expenditure by patient age in the United States. Dental expenditure increased from $570 in 2000 to $668 in 2008 among adults 21 to 64. Among the elderly ages 65 and older, it went up from $666 in 2000 to $820 in 2008. A dental crown or a cap is described as a dental prostheses placed over a cracked, decayed or a damaged tooth. A PFM crown is also known as “gold standard” for restoring teeth in implant-supported prostheses. See more on implant supported dentures in Los Algodones here. Porcelain fused to metal crowns is preferred over other ceramic crowns as they match the color of the adjacent teeth better. They are an amalgamation of porcelain and metal and provide stability and strength to the crown. They are best suited for patients who want durability and long lasting results along with a natural appearance. To prepare for this type of crown, weakened and decayed areas of the tooth are removed to accommodate the crown. The procedure of PFM consists of a wafer-thin, porcelain veneer fitted over prosthetic crown made from a base of high noble metal. A high heat process fuses the porcelain veneer perfectly to the surface of the crown. The crown created via this process has excellent compression strength and provides a cover to the underlying metal. Porcelain veneers imitate the natural translucence of your adjoining teeth and are also stain resistant. A mold of your bite is made and fabricated in our on-site dental lab. A temporary crown is fitted until the custom crown is completed. In your next appointment you will be fitted with the new crown. Large filling: A tooth requires a crown when the filling needs to be replaced and shows sign of cracks or a tooth has a cavity or fracture in more than half of its space. RCT (root canal treatment): A root canal treatment always needs a crown to prevent from fracturing as the treatment leaves the teeth hollow from the inside. Bruxism: If you have a habit of teeth grinding, the teeth will wear off over time and the only way to restore the teeth is by covering them with crowns. Gap between your teeth: Spaced, misaligned and broken teeth can be covered with crowns for a more natural appearance. At our dental clinic in Los Algodones, we encourage you to take control of your oral health and make informed decisions regarding the same. We value our patients and ensure that they get the best treatment possible by making sure that their needs are being fully met. We also offer porcelain fused to gold dental crowns. For more information, fill the contact-form on the website.